When Laurel returns to Washington, D.C., to work for her brother, Sen. Luke Healy, she discovers that budgetary disagreements have halted the government, and mysterious bugs are consuming the brains of Congress members and Capitol Hill staffers. Dean Healy: You may hate politics, Laurel, but you're not bad at it. Gimmicks abound on TV nowadays, as apparently audiences no longer sit still for drama, action or even comedy served up straight. 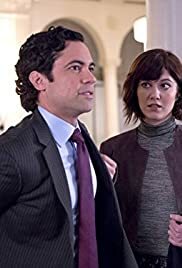 Its crazy horror/sci-fi gimmick is the defect in the otherwise quality show "BrainDead", and my trepidations were only overcome by extremely fine acting. The still topical issue (underlined by many specific Trump and Hillary quotes on tape here) of a dysfunctional American political system is treated sarcastically by an "Invasion of the Body Snatchers" premise from show's creators. What if a meteor-based invasion from Outer Space, turning Washington, D.C.'s politicians and staff into mindless slaves was achieving what Jack Finney's iconic pods did in that Don Siegel classic film of the '50s (remade several times since)? With Mr. Monk himself recast as a drunken Republican senator getting the gory (aimed seemingly at a Fangoria audience) takeover treatment, the pilot episode certainly had its shock moments. Our Nancy Drew (explicitly name-dropped) heroine is engaging enough to bring us back to reality no matter how far-fetched and silly the action gets, though overall the series is shaping up already for me to be too close to the facetiousness of a Tim Burton ("Mars Attacks") or the recent shoulda-been-a-lot-better "You, Me and the Apocalypse" miniseries. Key question, especially for network exec types, is how long can you string out such an absurd concept? 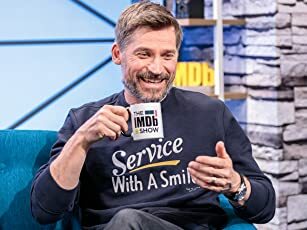 "Lost" is the prototypical example of how a narrowly defined series, originally about as expansive as "Gilligan's Island", can be stretched way past its breaking point in order to keep a hit on the air and rake in that moolah. I would put "BrainDead" into the camp of a limited series, with the writers hopefully propelling it sooner rather than later to a slam-bang exciting (and instructive in the vein of speculative fiction) conclusion.